It was with great expectations that I travelled down to Whangarei Tuesday afternoon to listen to American librarian Jenica Rogers. Jenica is to be a keynote speaker at the LIANZA Conference next week in Wellington, but she had been persuaded to “practice” her talk up North. This was a wonderful opportunity for us in the far North to to learn from such a motivated and indeed, passionate, librarian. Jenica’s session, Reality-based Librarianship for Passionate Librarians was fabulous. Her focus was on how to implement a new project within your library, whether it is a new technique, technology, event, change or concept, the process is the same. Her projects she conceptualised as mountains or hills, and she discussed how we must be completely committed, passionate enough to climb those mountains and achieve our goals. Jenica talked about naming your passion, identifying your goals and professionally organising, planning and managing towards achieving them. Embrace the process she said, even if you have to compromise on the way, it is all about focusing and following your passions, achieving those goals, creating a better environment or service. But that you can’t do it alone, so build a support network, look for allies or flock mates, utilise the power of community. Jenica also made us consider failure and how to deal with it, when to recognise that this project will not be achievable and climb back down the mountain. “Success requires some tolerance for failure” she stated, and challenged us to plan ahead about things that may go wrong and how we would handle it. Jenica reminded me of one of our own passionate advocates for libraries, Donna Watt from Invercargill, (view Donna’s blog – Half Pint of Wisdom), they speak the same language with the same message – they really need to be flock-mates! Thanks to Corin of LIANZA Hikuwai for organising this inspirational session for us. And thank you, Jenica Rogers, for exceeding my expectations and presenting an inspirational reality-based session. 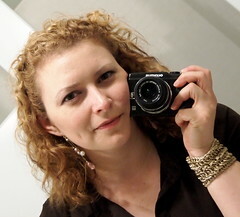 To learn more about Jenica Rogers, start with her blog Attempting Elegance, and if you have the chance to hear her speak at the LIANZA conference, don’t miss it. How good are you at searching? Over on the Blue Skunk blog a couple of days ago an interesting discussion was taking place. 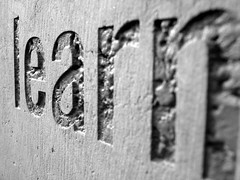 Where do professionals learn search skills? We are quick to criticise the search skills of the students (and staff) we work with but how good are we ourselves? Google Tutorials which have been mentioned on this blog before. Got good ideas to contribute from a local perspective? Add them to the comments below. How often have you wanted to know the order of the books in a series? Here is a nifty tool! Great when you have an incomplete series and you want to know which ones to buy. As selection tools go this has great potential. Have a look at the site and give it a go. It won’t work quite so well for local series as it will for the international books. Spinebreakers have posted a really nice interview with Meg Rosoff. Big news is that they are finally making a movie of How I Live Now, her masterpiece (she says in a blatantly opinionated way). 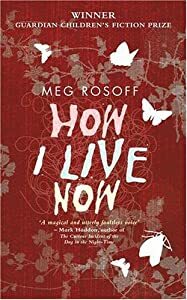 If you have never seen the book trailer for How I Live Now, which was nominated for the Teen Book Video Awards in 2006, it is really worth having a look at. A great example of a student made booktrailer. From the School Library Journal comes the latest research on School Libraries from Rutgers University researchers Ross Todd, Carol Gordon and Ya-Ling Lu. Their study, “One Common Goal: Student Learning”, included not only librarians, but principals, HODs, and teachers being surveyed to provide an overview of how they see the school library’s role in education. Brian Kenney summarizes their findings into what makes effective school libraries and how the contribute to their school in What Does Excellence Look Like? : A New Study Shows the Role of School Libraries in Learning. Who’s who in the Australian field? A who’s who in the Australian field of school librarianship has been posted on the Library Currants blog, and yes, they do have teacher librarians in Australia. We are now well aware of Judy O’Connell – one of the stars of the SLANZA Conference this year, and Scoop-it/Facebook/and anything you name spreader of information including her blog Hey Jude – the woman never sleeps! But there are lots of others who have wonderful blogs and ways of sharing information whether via Scoop-it or on their blogs. If you are interested in learning more about Australian luminaries and what they do and where they do it head over to Library Currants and check some of them out. Some of the names there may be very familiar to you. Judith Way who used to do Bright Ideas but who is now doing all manner of other cool stuff including the blog The Way Forward, I’m sure other names on the post will be familiar if you are a Twitterer or follower of the blogisphere. Wonderful, thoughtful blog post here from Tania Sheko on her Brave New World blog about time spent at a PD session recently where relevancy and trends in public libraries were discussed by such luminaries as David Lee King. There is much we can take from this for school libraries which is being actively pursued by our colleagues in Public Libraries. It is about taking brave steps I think. Trying new things and seeing what is possible if you break down the barriers of your own perceptions and get outside your comfort zone. Read the entire article but this is the slideshare from Hamish Curry from the State Library of Victoria. Check out sideshare below and put it with the twitter stream from the blogpost and you will get the gist. I love slides 18 to 23. Especially slide 22! It sings to me!